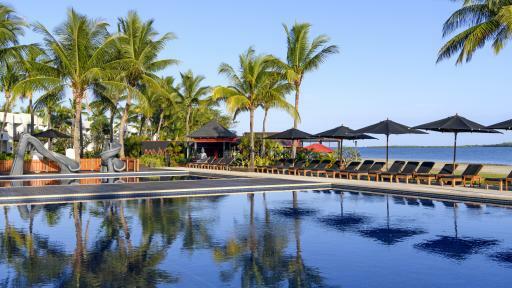 Found on the western side of Fiji's main island Viti Levu, the Hilton Fiji Beach Resort & Spa overlooks the crystal waters of the Mamanuca's and is located on Denarau Island. 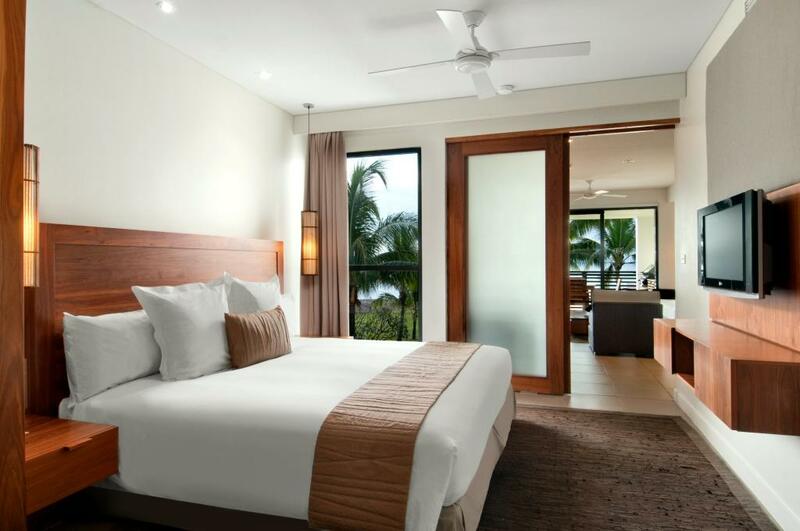 This beautiful 5 star Fiji accommodation is just 20 minutes from Nadi's International Airport and only three minutes from Port Denarau Marina, the departure point for many cruises and island boat transfers as well as a vibrant port village and marina. 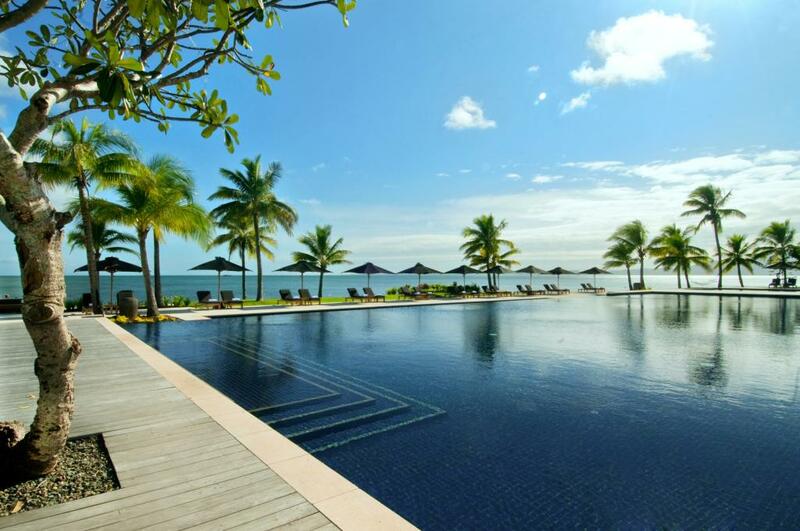 Hilton Fiji Beach Resort & Spa has 7 swimming pools to choose from including an infinity edged pool that overlooks the Pacific Ocean as well as a children's pool. 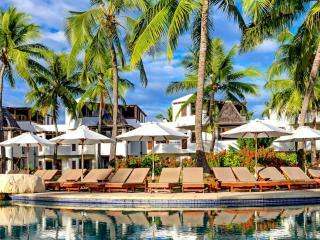 The pool areas are lined with stylish day beds, comfortable recliners and tropical frangipani trees. 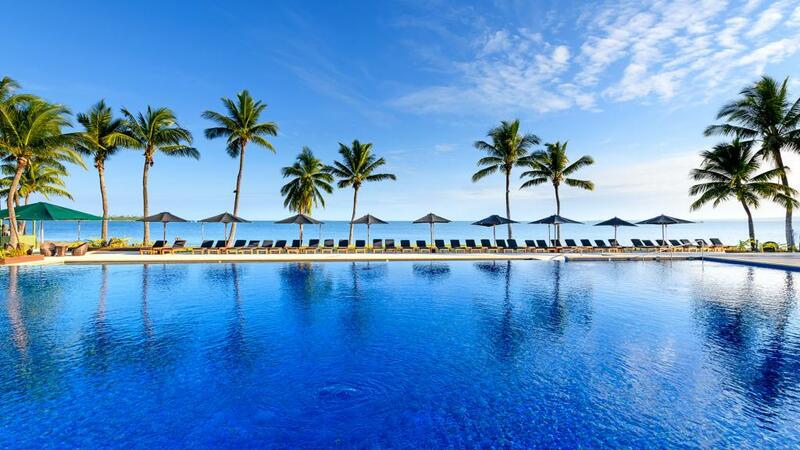 Relaxation, tropical weather and a beautiful Fijian atmosphere are the highlight of the Hilton Fiji Beach Resort & Spa`s pool area. 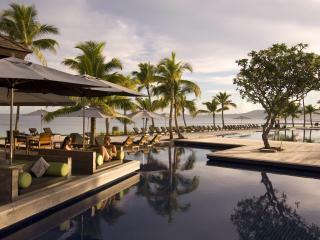 The pool area also overlooks this Fiji resort's private 1.5 kilometre beach. 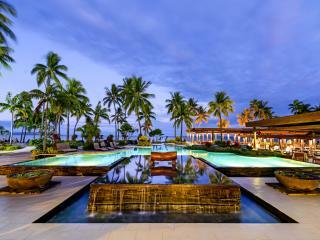 Hilton Fiji Beach Resort & Spa also offers an exclusive adults only area - KORO. This is a great venue to meet with friends and relax, drink and dine. 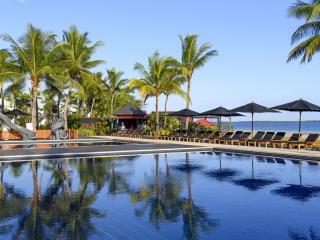 Guests at the Hilton Fiji Beach Resort & Spa are spoilt for choice with dining options from open air restaurant, pool side dining service, in-room dining as well as cafe style meals and fresh espresso. 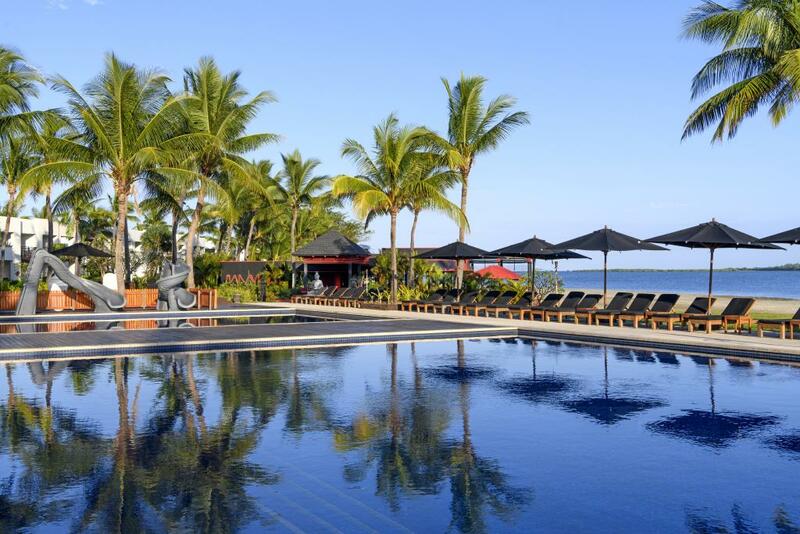 Children are certainly not forgotten with the Kids Stay & Eat Free policy, and one of Fiji's best free Kids Club which has spacious outdoor play and two indoor activity rooms. 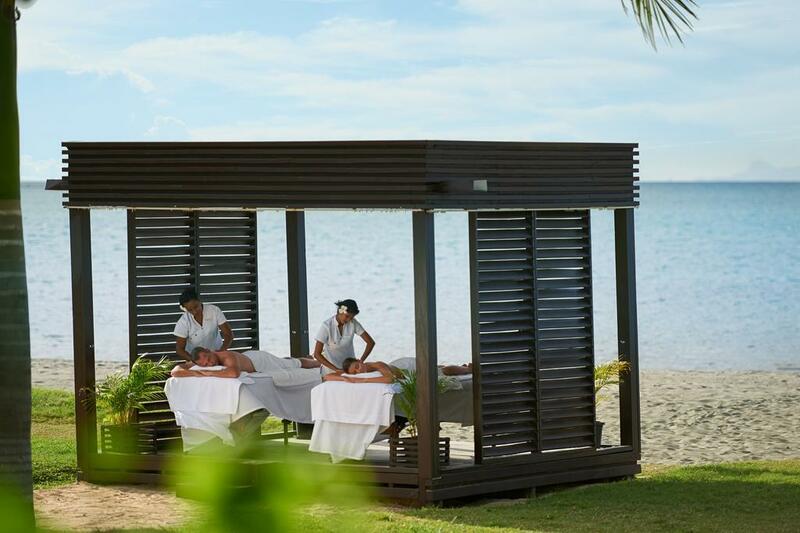 There is something for everyone at Hilton Fiji Beach Resort & Spa whether you are a honeymooner, family or a group of friends travelling together. 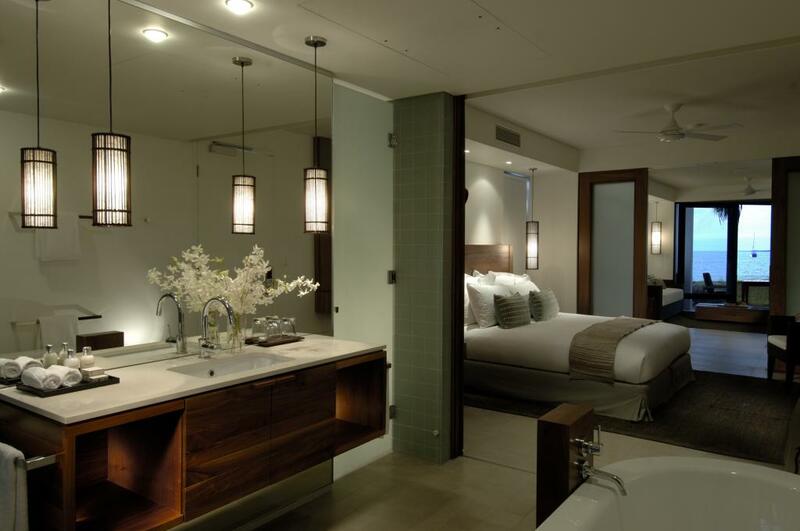 The Guestrooms are ideal for couples looking for luxury hotel-style accommodation. 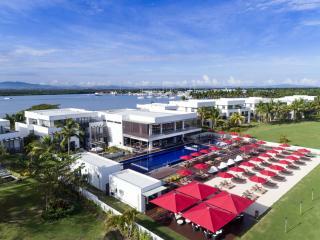 They suit shorter stays in Denarau, maybe before or after heading out to the islands. Garden View Guestroom: Bedding is 1 King Bed. Maximum room capacity is 3 Adults & Children. Beachfront Guestroom: Bedding is 1 King Bed. 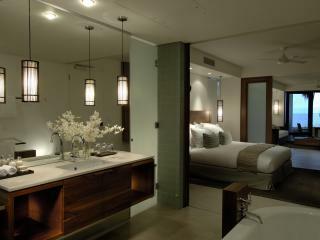 Maximum room capacity is 2 Adults & Children. This room type can fit an additional infant in a cot. Please ask your consultant if this is required. 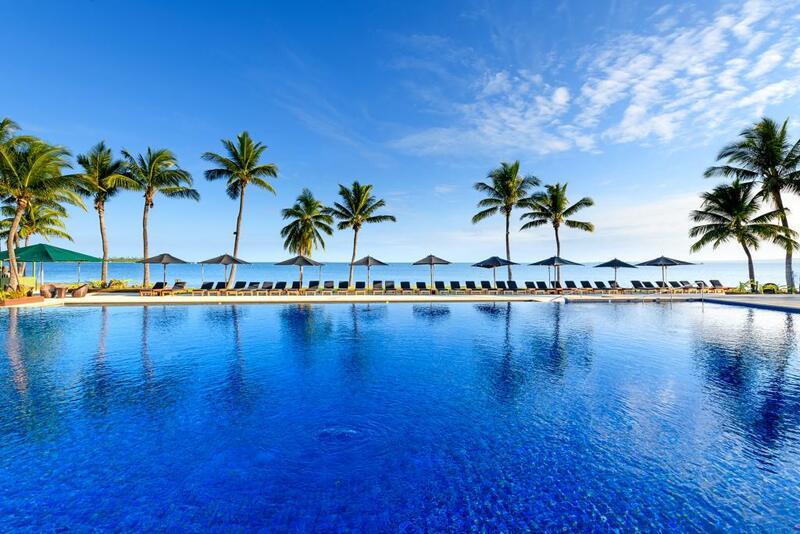 One of the best features of the Hilton Fiji Beach Resort & Spa is the stunning 5 star accommodation with a variety of options providing families with precious space and self-catering facilities. Many of the apartments feature an open plan layout over one level, some with outdoor beachfront terrace or balcony with private BBQ. 1 Bedroom Garden View: Features resort garden views. Bedding is 1 King Bed. Maximum room capacity is 3 Adults & Children. 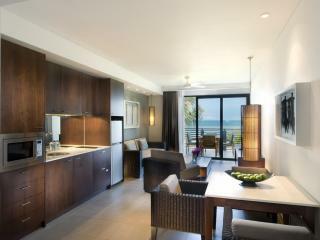 1 Bedroom Beachfront: Located on the beachfront. 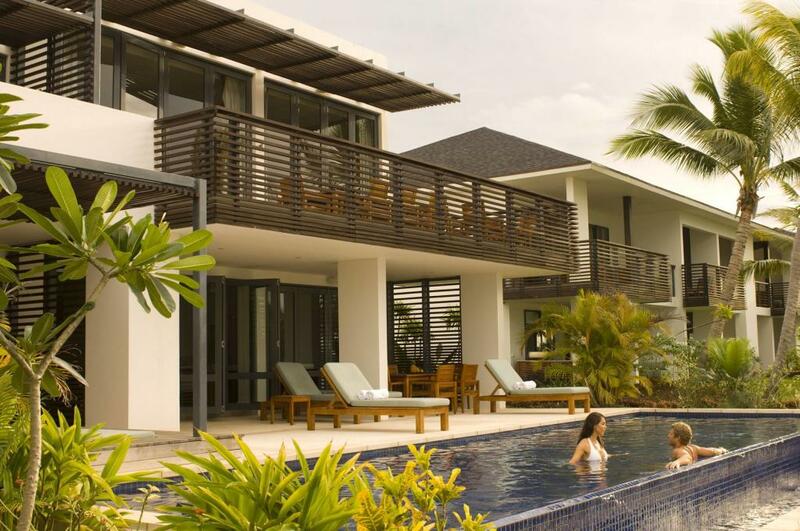 Villas span 60m² with an additional 10m² of outdoor decking. Bedding is 1 King Bed. Maximum room capacity is 3 Adults & Children. 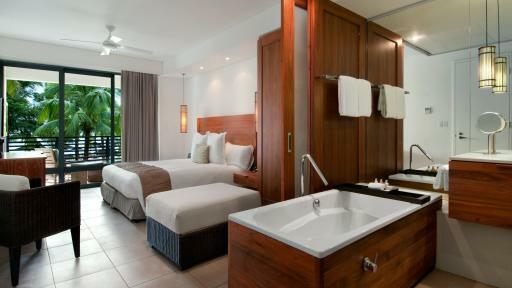 1 Bedroom Deluxe Beachfront: Features the same as the 1 Bedroom Beachfront plus access to a shared plunge pool. Bedding is 1 King Bed. Maximum room capacity is 3 Adults & Children. 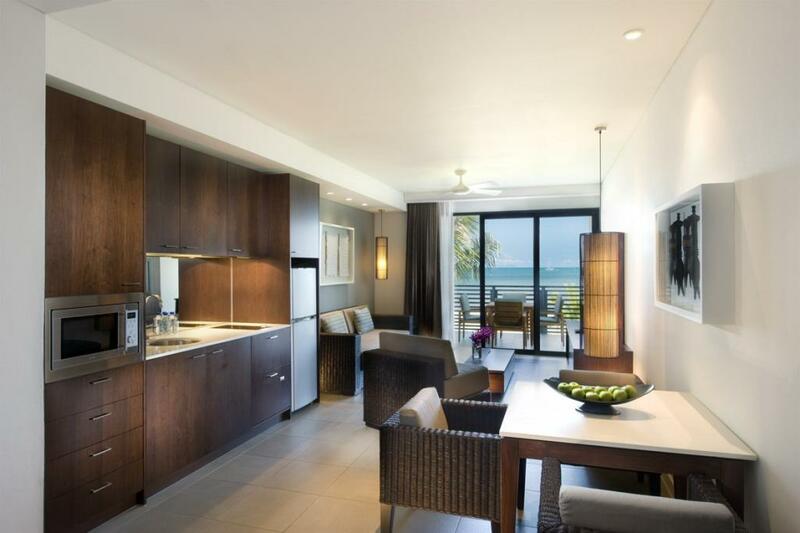 2 Bedroom Beachfront: Ideal for large families or couples. 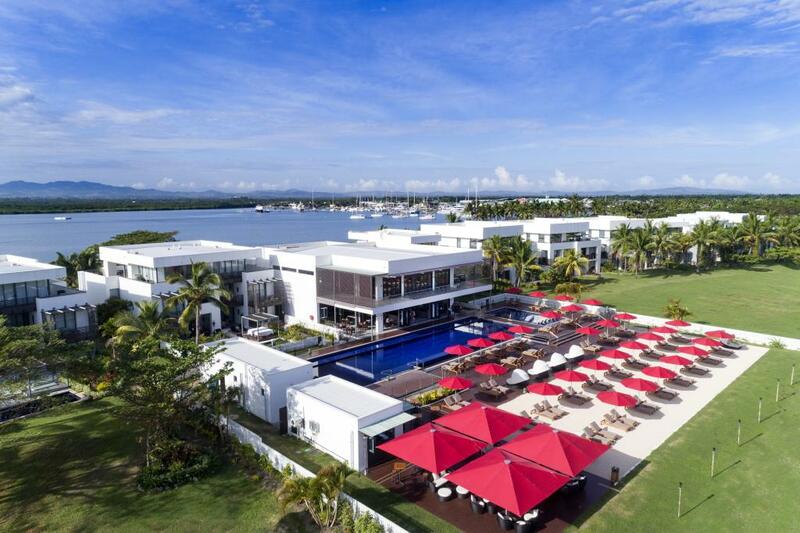 Set on absolute beachfront with 118m² of living space and private decks. Bedding is 2 King Beds OR 1 King Bed + 2 Single Beds. Maximum room capacity is 5 Adults & Children. 2 Bedroom Penthouse: Features 127m² of self contained living and dining areas and a large terrace. Bedding is 2 King Beds OR 1 King Bed + 2 Single Beds. Maximum room capacity is 5 Adults & Children. 2 Bedroom Garden View: Bedding is 2 King Beds OR 1 King Bed + 2 Single Beds. Maximum room capacity is 5 Adults & Children. 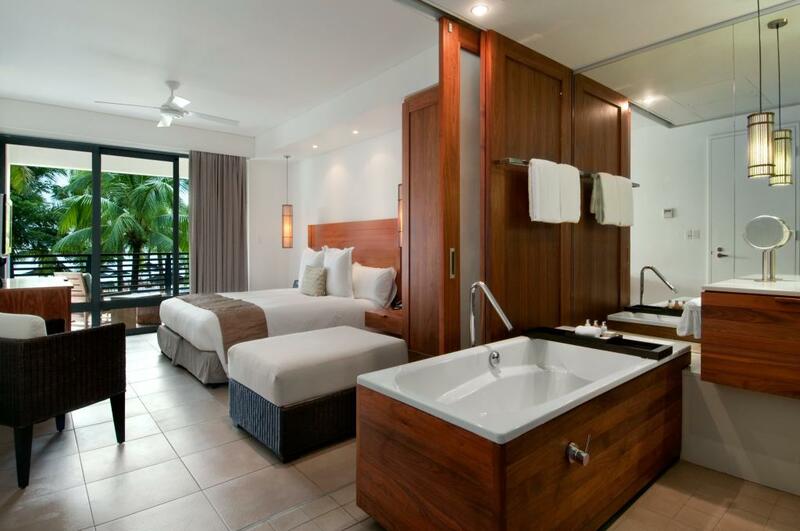 2 Bedroom Beachfront Residence: Bedding is 2 King Beds OR 1 King Bed + 2 Single Beds. Maximum room capacity is 5 Adults & Children. 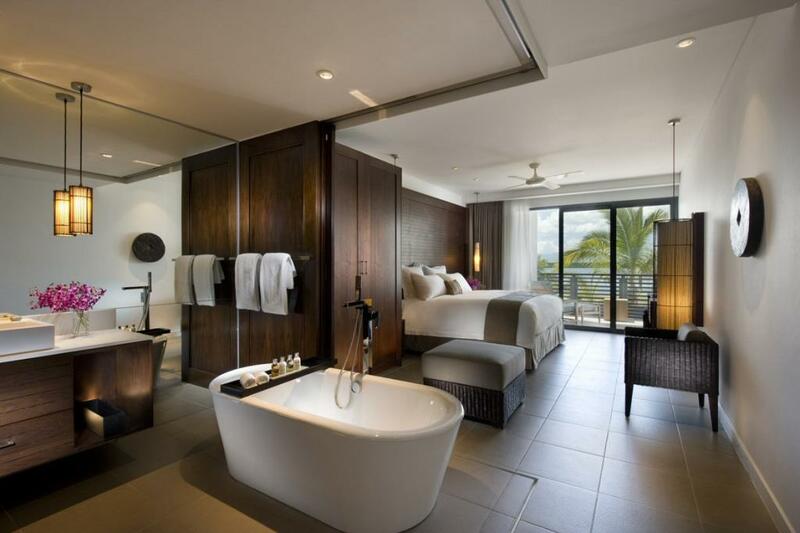 3 Bedroom Penthouse Beachfront: Bedding is 3 King Beds OR 2 King Beds + 2 Single Beds. Maximum room capacity is 7 Adults & Children. 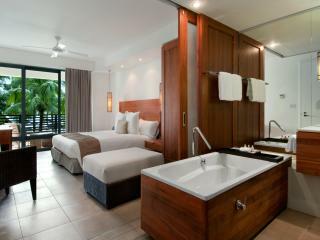 3 Bedroom Beachfront Residence: Features a private pool. Bedding is 2 King Beds + 2 Single Beds OR 1 King Bed + 4 Single Beds. Maximum room capacity is 7 Adults & Children. 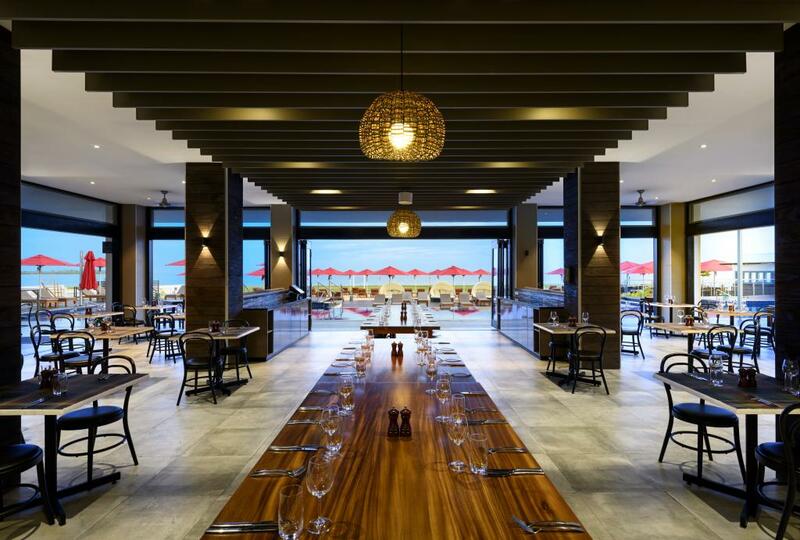 Nuku Restaurant: Resting on the coveted waterfront location, this onsite restaurant serves an excellent selection of international cuisine and local Fijian delicacies. Made from the freshest daily produce, Nuku's inventive menu is constantly changing to make the most of in season produce. 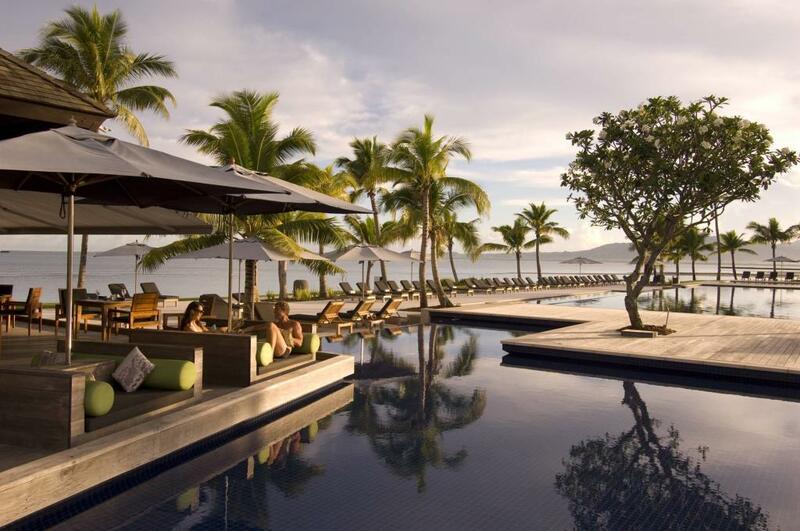 Don't miss the stunning sunsets from the popular Nuku Bar. 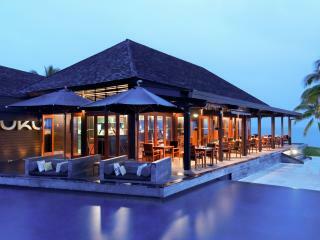 Nuku Restaurant is open for breakfast, lunch and dinner daily and offers complimentary WiFi. 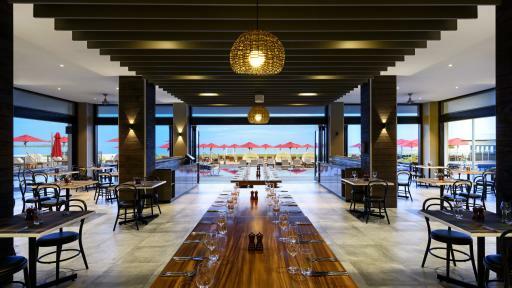 Deli: offering grocery items such as meats and marinades for your private BBQ, the deli is a gourmet pizzeria offering dine-in and options for delivery to your villa. Relax and enjoy a coffee or pastry while you take advantage of the free WiFi. Open daily 6 am - 10 pm. Maravu: The tantalizing menu at Maravu is fresh, delicate and delicious. Sit back and soak up the relaxed vibe as you enjoy specialty Asian dishes. 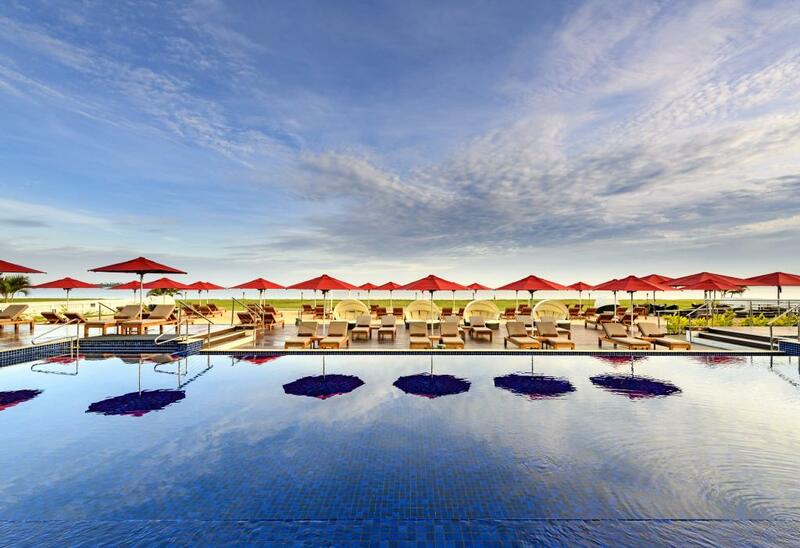 Take in the incredible island views, order a Pad Thai and beer and watch the nightly Fijian torch lighting ceremony pass by. Open daily from 5.30 pm - 10 pm. 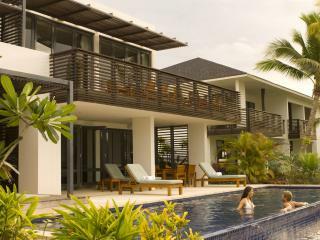 KORO: Koro means 'village' in Fijian and this exclusive adults only 'village' is a great place to relax on your couples getaway or while the kids are in the kids club! Enjoy a drink or snack at the pooside bar and live evening entertainment. 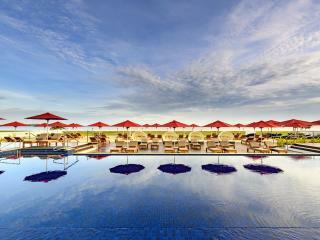 Koro restaurant also provides Buffet breakfast for adults (18 years and over). In Room Dining: Available 24 hours a day with an extensive range of meals and snacks. Gourmet BBQ packs are also available to all room types besides studios. 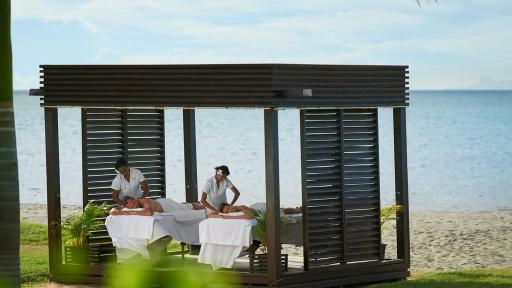 The Spa: Unwind with some well-deserved rest and relaxation at 'The Spa'. Allow your stress to melt away with a soothing massage, rejuvenating facial, therapeutic body wrap, refreshing body polish and beauty services including tints and waxes. 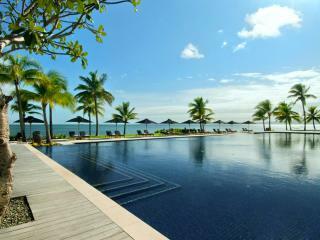 IKA Kids Club: Hilton Fiji Beach Resort & Spa caters to even their youngest guests and offers a kids club that is sure to give the littlies the time of their lives. Activities change daily and are designed for different age groups, ensuring everyone from toddlers to tweens have a great time. 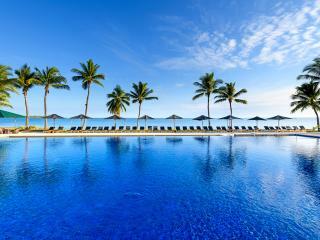 Activities include beach games and treasure hunts for the younger ones and Fijian craft making for the older kids. 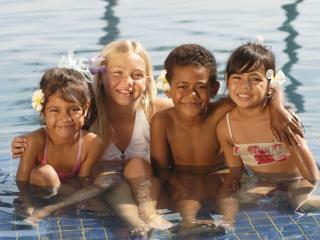 The kids club is free for all in-house guests aged 3-12 years, 0-2 years must be accompanied by an adult. Babysitting is available at an additional cost. 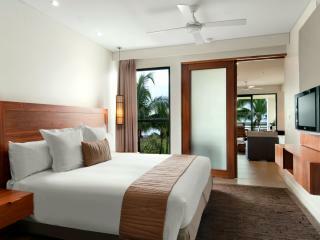 Kids Stay and Eat Free: Children aged 0-12 years stay free of charge when sharing existing bedding with adults. 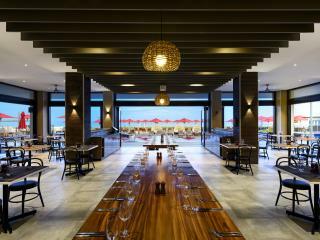 Children 5 years and under enjoy free meals from the kids menu at Maravu and Nuku, when accompanied by an adult and a regular adult meal is purchased. Set dining times may apply. No meal discounts apply for in-room Dining, Deli, Theme nights and Special events (e.g. Christmas) nor at any other outlet. 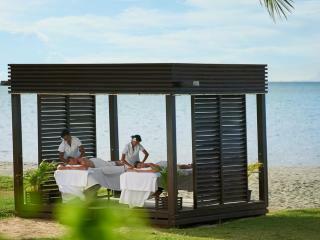 What better way to celebrate your special day than at Hilton Fiji Beach Resort & Spa. All wedding packages include a professional wedding coordinator, Minister or Celebrant, marriage licence, marriage certificate & postage and venue hire. Let your coordinator take all the stress of the event while you enjoy the pampering and stunning location for your wedding. Please ask your consultant for pricing and further details. Ratings are averaged based on 179 reviews. Would definitely recommend this resort! 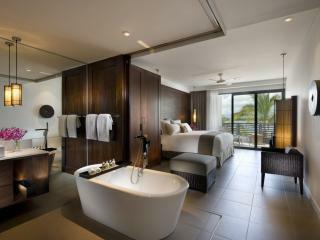 Room was amazing, restaurants were fantastic and the staff were unbelievably friendly and helpful. Highly recommend this resort! Room was absolutely gorgeous, restaurants fantastic, atmosphere awesome and the staff were unbelievably friendly and helpful. Overall pleased with our stay. Overall our stay at the Hilton was amazing. 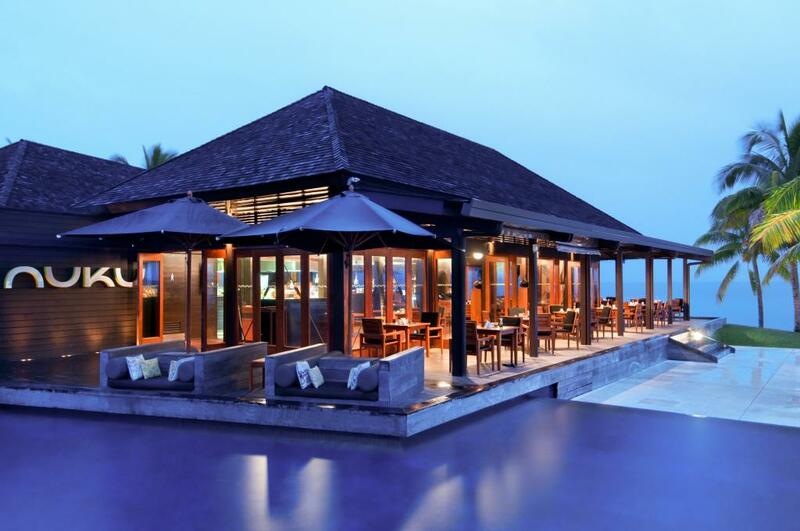 I recommend the Adult only restaurant Koro, the food was amazing, the buffet breakfast every morning was delicious and great selection of food offered. Everyone who worked at the Hilton were extremely nice and friendly, their service was outstanding and and they all work very hard. My only suggestion is there is not a lot of choices to watch on tv a movie selection would have been nice, I was sick four days out of my stay and could not leave the room much and found myself bored being stuck in the room with not a lot to watch. Found the dink’s very pricey, if the drinks were cheaper we wouldn’t have went to Port Denarau every night for there happy hour as the restaurants there had great deals. Only drank and ate at Hilton 2 nights out of our 6 night stay because of this. Other than that great stay and would recommend the Hilton.